The Tron lightcycle is one of the coolest vehicles of all time...and now you can drive it in GTA Online, thanks to a new “Deadline” mode. The update is one of the best additions to GTA Online in a long time. 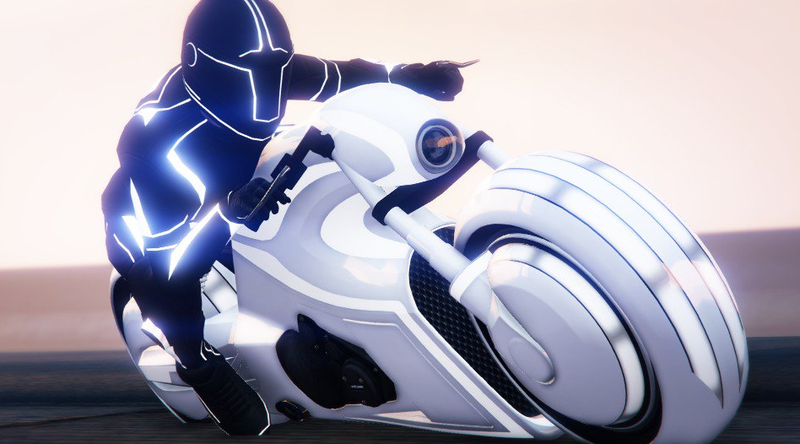 Rockstar has also added a new outfit to GTA Online, and it also harkens back to Tron (or really, Tron Legacy.) These new suits come in a variety of colors and like the Shotaro, they glow. To unlock these new Tron-inspired goodies, players have to play a match of Deadline. Deadline pits four players against each other in a lightcycle deathmatch. Players ride around on the new bikes, and as they drive around the area, they leave behind a light trail that will destroy any player who touches it—even the player who left the trail behind. GTA Online’s competitive modes can be frustrating. Normal races have moments where you spin out, forcing you to slowly turn around. Other on-foot modes are filled with combat that feels sluggish compared to other modern shooters. But Deadline succeeds by building a mode focused, tight idea that feels good to play. You can’t stop moving, literally. The mode forces you to always move forward. If you do stop, you explode! Weaving around other players and trying to out maneuver them is one of the most exciting things I’ve experienced in GTA Online. The hype isn’t a surprise for anyone that’s been playing attention: GTA fans have modded Tron lightcycles into GTA games for years. 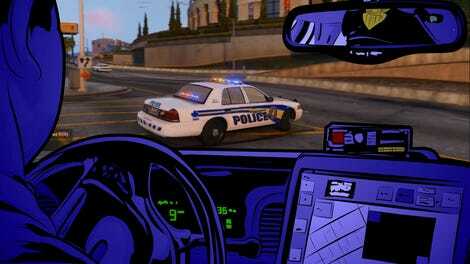 Even back in San Andreas fans were modding lightcycles into the game. 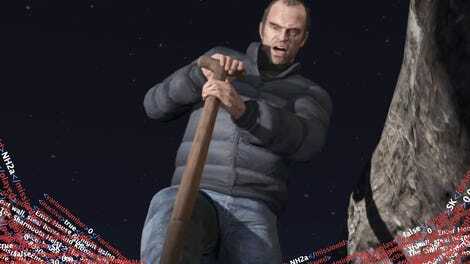 Rockstar finally gave the people what they wanted. If you’re considering jumping back online to check out the new goodies, be prepared to drop some serious cash. The Shotaro costs over $2 million dollars, making it one of the most expensive vehicles in GTA Online. You should also know that the version of the bike you drive around in freemode doesn’t have any cool light trails. Bummer. So far, I’ve played a dozen Deadline matches and can’t wait to play more. I’m going back to the grid to fight for the users. Zach Zwiezen is a critic currently living in Kansas City, Missouri. He has written for Gamecritics, Killscreen and Entertainment Fuse.